The following review is on the anti-aging product by TULA, Revitalizing Eye Cream. 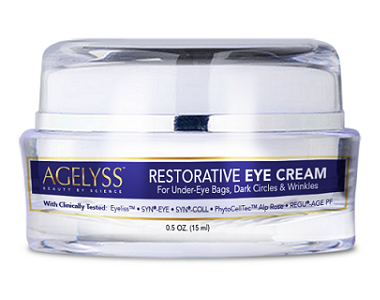 The manufacturer claims that this product hydrates the areas around the eyes. Another claim is that It reduces the appearance of dark circles and fine lines under the eyes. Ingredients lock in moisture. The product is suitable for all skin types, and all ages. Keep reading this review for more about this eye cream product. What’s in TULA Revitalizing Eye Cream? The substance natural olive oil squalene offers antioxidant protection and hydrates the skin. Natural shea butter is a good source of vitamin E. Vitamin C, an antioxidant, protects the skin from damaging free radicals. Bifida ferment lysate is a natural probiotic strain that locks in moisture and hydrates the skin. Even though the formula may include good elements, it lacks key ingredients found by clinical studies to be effective. Where other brands use a minimum of five patented ingredients, this formula contains none. This product is cruelty-free. How Do You Use Revitalizing Eye Cream? User instructions are basic. The cream should be applied below the eyes using a gentle downwards patting motion; it should then be massaged upwards towards the brow bone. This cream should be applied mornings and evenings. A 0.5-oz container of this product is available online at $52.00 for a once-off purchase. The maker only offers a 10% discount if a consumer agrees to an automatic subscription service. However, such programs are known to be difficult to cancel. The manufacturer does offer a satisfaction guarantee on this product. The money-back guarantee is somewhat misleading, however. Even though the company claims there is a 30-day money-back guarantee, the consumer is allowed only 14 days in which to return the product or risk the chance of forfeiting the guarantee. The company does not refund the shipping fee; nor does it require a reason for the return of a product. This is useful market research which could have added to the improvement of the product, however, the company ignores such information. Still, there are many reviews on this product, mostly positive. TULA Revitalizing Eye Cream seems a useful product. It comes with a money-back guarantee; user instructions are clear. However, this product lacks any patented ingredients which would set it above other products. Also, the guarantee only grants the user two weeks in which to test the product, which is not long enough. The product lacks any package deals or discounts that would have saved the consumer money over the long term. Such discounts and package deals are incentives that could have rewarded loyal clients. That all mentioned, there are many other eye cream products on the market currently that offer much better ingredients that are patented and clinically proven to be effective, plus a firm guarantee that protects the client and attractive package deals with discounts, unlike this eye cream product.